France has yet again been challenged, this time by what seems a tragic accident causing a devastating fire at one of the worlds most visited tourist locations, the famous cathedral; Notre Dame. But as with previous events, Paris seems set to come back stronger than ever and remain one of the most iconic, beautiful cities that is most visited in the world. 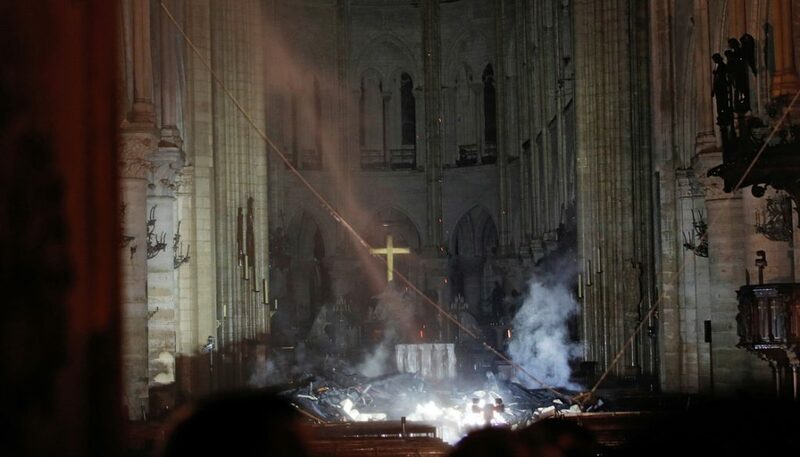 By the, as always amazing work of the Fire Service, the two Bell Towers and main structure were saved and already two French Billionaire families have pledged 300 million Euro to re-build this, that when completed 760 year old building and restore Paris as one of the worlds must see cities. More than ever now, please support Paris and take advantage of one of our ‘Best Value’ options to visit Paris, which with so much included are amazing value and far cheaper than booking directly or travelling independently. Please Click Here to view all our Best Value Paris Tours. More good news; prominent French Billionaires François-Henri Pinault and Bernard Arnault have pledged between the 300 million Euros to re-build the destroyed parts of Notre Dame and so we have a lot to look forward too, as this iconic cathedral enters a new chapter in its amazing history. 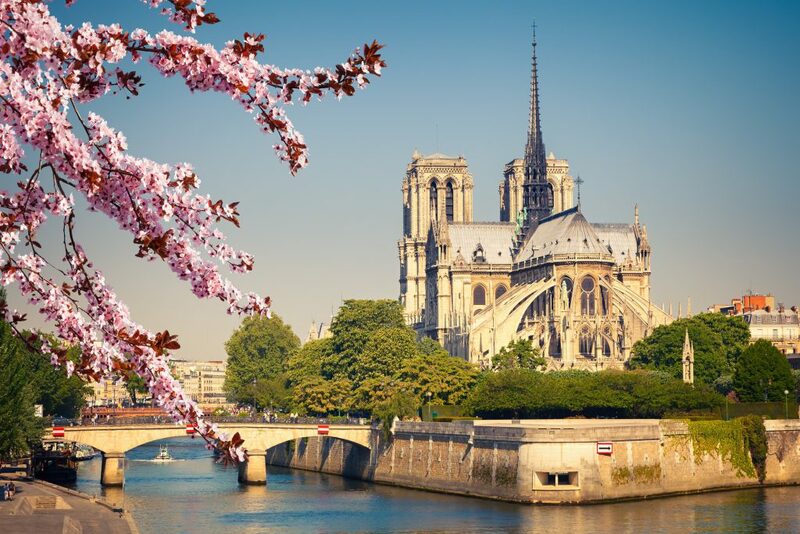 Although mostly referred to as simply Notre Dame, the cathedrals full name is Notre Dame de Paris which translate to Our Lady of Paris. Building began under Bishop Maurice de Sully in 1160 and took 100 years to its original completion in 1260. However it was frequently modified century by century thereafter. In the 1790’s it was seriously damaged during the French Revolution, but then was restored again and was used in 1804 as the venue for the coronation of Emperor Napoleon. 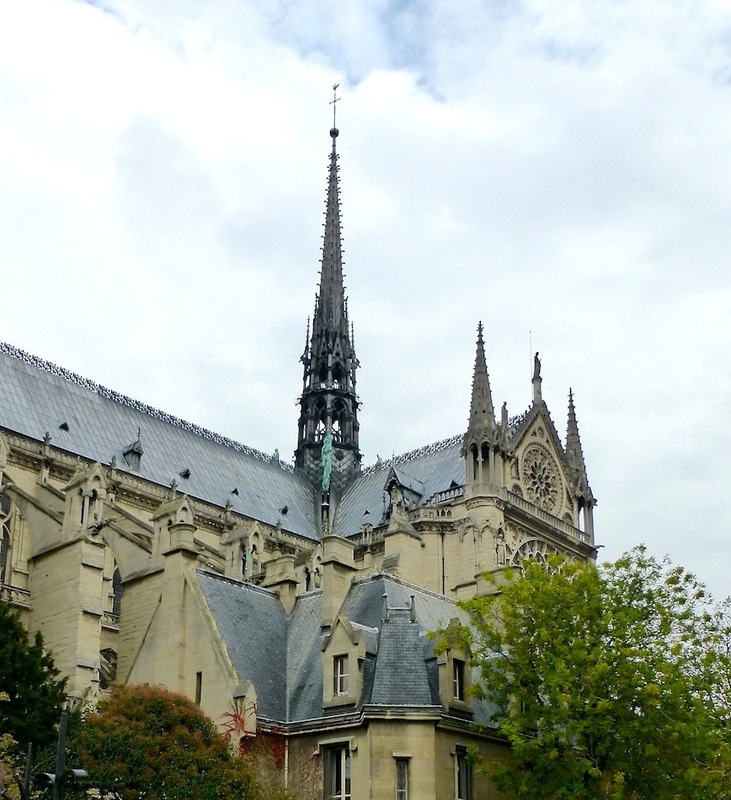 Much enhanced interest in the cathedral and iconic status, followed the publication in 1831 of Victor Hugo’s novel ‘The Hunchback of Notre Dame’, later subject of a number of films. Following on from the notoriety of the novel, under the supervision of Eugène Viollet-le-Duc the cathedral was subject to extensive restoration between 1844 and 1864 and led to the addition of the spectacular spire seen in the image above. This spire was very sadly lost last night, but there are already plans to re-build it in its original form. Amazingly the cathedral survived in tack the bombing of Paris and later occupation by the Nazi’s in the Second World War and the Cathedral was used to host the celebrations of the ‘Liberation of Paris’ in 1944. 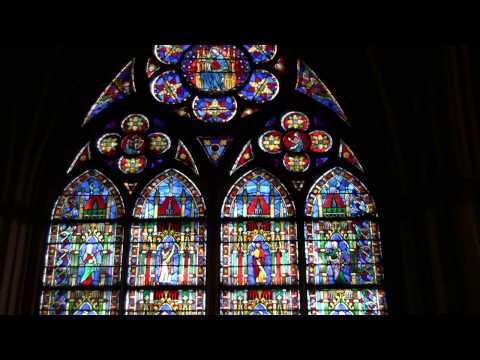 One of the most stunning features and again very sadly lost last night, were the amazing crafted stain glass windows. But again with the generosity of Pinault and Arnault, craftsmen are already looking at re-producing these and we can look forward to an amazing future for this iconic cathedral. We are delighted to offer a good range of ‘Best Value one and two day Paris tours please click here for details’.